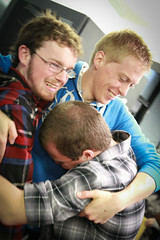 To make a CAO application go to www.cao.ie and click on Apply before the 1st February at 5:15pm. 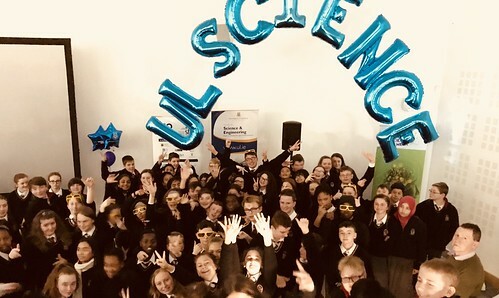 Science Week kicked off with a bang here at Coláiste Chiaráin with our Science Disco, on Monday. Students were treated to a barrage of cheesy science tunes and classic science demonstrations over lunchtime. The playlist included golden oldies such as Tom Lehrer’s ‘The Elements’, as well as modern classics like ‘All About That Base (No Acids!)’. Science music not only boosts students’ engagement with STEM, but the catchy lyrics also act as a mnemonic – helping students to remember difficult concepts. Throughout the week we kept the theme going with noticeboard updates which included information on the day’s events as well as science facts, jokes, memes and brainteasers. 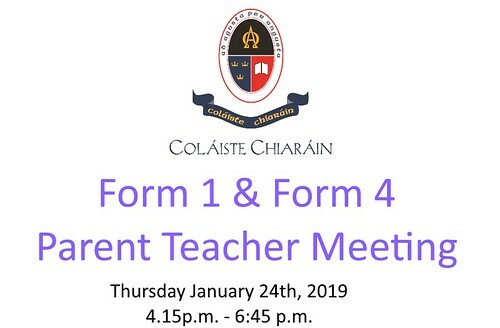 On Thursday there is a Staff Junior Cycle professional development day. Friday is a planned closure as advised since the beginning of the year.